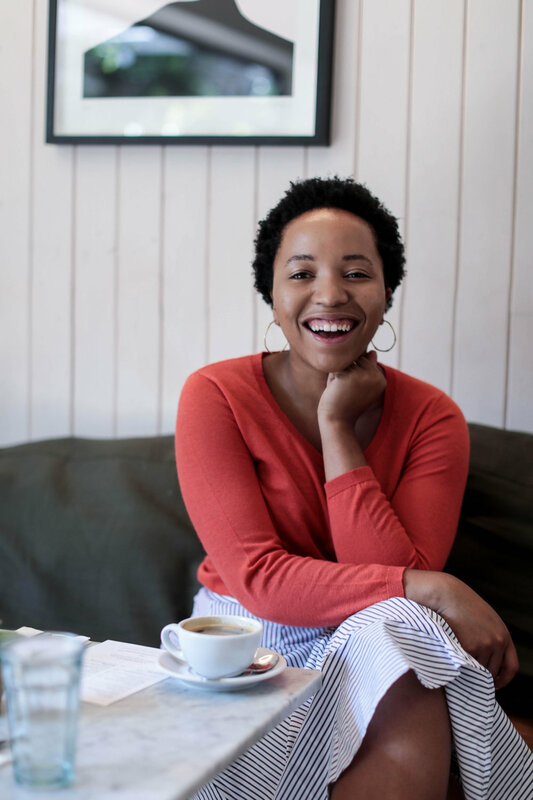 On the podcast this week is Naomi Mdudu, the founder of The Lifestyle Edit. The Lifestyle Edit was created as a space to spark real, candid conversations amongst creative female founders. Since inception, they’ve made it their mission to tap into their community of trailblazers and give them a platform to pay it forward and share the strategies behind their success. Now, hundreds of thousands of women come to them for inspiration, action steps and support on everything from visibility, marketing and branding to advice on getting into a state of flow and tips on how to cultivate a growth mindset. Naomi is such an inspiration to me and I’m so impressed by what she’s created and the impact that she’s having with The Lifestyle Edit. Their goal is really to help connect dynamic, ambitious women to collaborate, inspire, and work together. Naomi is a marketing expert, international speaker, and a business coach for creative female founders who want to make a living doing what they love. She’s completely transformed her life and income through entrepreneurship, and it’s her mission to support as many women as possible to do the same. On this week’s episode Naomi shares with us the inspiration behind The Lifestyle Edit, how she’s created a life and a business she loves on her terms, and why it’s so important to lead with service. We have a really wonderful conversation about connecting to how we want to feel, being intentional with our thoughts and our joy, and creating an identity from scratch. Naomi also opens up about how she’s been able to honor her emotions and show up even when it’s hard, cultivate an authentic community, her biggest dream, and SO much more! Naomi spent the majority of her career working as a fashion editor in national newspapers in London where her true education came from navigating the delicate balancing act between the storytelling of editorial and the commercial engine that kept that possible. As a business strategist, she’s worked with some of the leading names in the fashion and lifestyle industry on creating compelling campaigns and activations and now make those strategies and insights available for the start-ups and solopreneurs that need them. Naomi didn’t always have this business though. Just a few years ago she had what on paper was her dream job. She traveled the world, she interviewed people she never dreamt she’d be able to. Naomi made a decent living and had all the perks that come with a corporate job, but she found herself working 12-14 hour days, and often weekends, to create content she didn’t believe in. By the end, she was just going through the motions every day and worse still, she was burnt out. At 22 years-old she became the youngest editor for a British newspaper, and before starting the business she was the fashion editor at the second largest newspaper in the UK. At age 25, she left her job as a journalist. It was through following a hunch and taking massive action to turn her idea into a reality that led to the multi-six figure business she’s running today. Naomi has always had an entrepreneurial spirit, and the Lifestyle Edit was born became she needed it and she was convinced that other women did too. While there were great resources for women about fashion and style, she felt that there was nowhere to go for advice on creating a career and a life that you love, on your own terms. Naomi couldn’t ignore this gap in the market, and she embarked on a journey to create resources for women that provided actionable advice, resources, and support. Today, entrepreneurs hire Naomi as a business coach to provide them with the clarity and action steps necessary to grow and scale their businesses. Her super power lies in taking the product or service you’ve worked hard to create and giving you the tools you need to stand out in a crowded market so that your ideal clients can find you. It was really wonderful to hear Naomi reflect on her entrepreneurial journey, where she started, and the sacrifices and compromises she’s made along the way to make this dream a reality. We often hear about where an entrepreneur is today, but it’s pretty rare to hear about what it’s taken them to get there. There’s always a backstory, and I’m so happy that Naomi shared hers with us in this week’s new episode. From quitting her job, moving back home with her family, to starting all over in New York City - Naomi has been through it all. When she decided to move from London to NYC, it was an opportunity for her to create an identity that aligned with who she really is. The truth is we don’t always realize how we end up conforming to how other people perceive us, and moving to New York City allowed Naomi the opportunity to wipe the slate clean. She started to create a life and a lifestyle that reflected her values, her desires, and her needs. You’re going to want to hear her reflections on this - it’s powerful and beyond relatable. Naomi is a firm believer that we’re the masters of our own destiny (heck yes!) and that we have the power to make our lives and businesses look exactly as we want them to. It was great to hear her reflect on building a successful business from a space of alignment and not hustle. I loved this part of our conversation and having the opportunity to chat with Naomi about the impact her morning routine has had on her life. Plus, it’s a little different from what we expect a morning routine to look like, and you’re going to want to tune in to hear about how connecting with how she wants to feel has been a total game changer. The truth is when you take the time to connect with how you want to feel in any given moment, you’re able to then intentionally create your day around those feelings. Naomi had a total “eureka moment” around all of this, and I loved hearing about how Naomi has been able to lean into those moments of discomfort. Naomi and I also had a really wonderful conversation about being intentional with our thoughts and choosing to show up even when it’s hard. In this week’s new episode Naomi really opens up about how it’s been so important for her to honor her emotions. I loved her words and perspective on honoring what we’re experiencing and not push it away or push it down. I really do think there’s this misconception in the wellness space that if you’re living a “high vibe life” that means that you’re always in a state of “love” or “joy” or “peace.” The truth is we’re all human, which means we all ebb and flow, and when you’re experiencing difficult emotions it’s important to sit with those feelings. For Naomi, that means journaling or sitting in meditation. It means looking at the whole picture, and asking herself the tough questions like, why am I feeling this way? How can I take a step back? Is there healing that needs to be done? Showing up is really about taking the time to be introspective. We often don’t allow ourselves to show up - to press publish, record, or share - on our dreams until we’re really “ready.” I loved hearing Naomi reflect on how important it is to take “messy action” and strengthen those muscles of trust and intuition. Outside of the content they produce, The Lifestyle Edit is a community first and foremost - and that’s just one of the things I love so much about Naomi and what she’s created. They believe that magic happens when you put a group of dynamic go-getters in the same room, so the TLE umbrella now includes a quarterly supper club series, hosted in London and New York, along with pop-up co-working days and their ongoing entrepreneurship retreat. When Naomi first moved to NYC she was extremely intentional about reaching out to women who she loves and is inspired by. All of these women care just as much as she does about creating female entrepreneurs, and she reached out to all of them (and all of them said yes to getting together!) Many of them have become friends and confidants. We’re all searching for like-minded people (and let’s be real, making friends as an adult isn’t always easy!) and it was great to hear how Naomi wasn’t afraid to do just that. Naomi has created community in her business too, and you’re going to love her reflections on how she’s been able to cultivate a supportive and authentic community. It’s really about leading with service - and Naomi’s words on why this is important and how you can start leading with service in your community too - is a total game changer. Naomi really walks her talk, and her mission is to empower more women to take that step towards entrepreneurship and be their biggest ally and partner as they pursue a life and career that lights them up. This is an episode you’re not going to want to miss, and I can’t wait to hear what you think!